The work of Alex Bellos inspired this weeks episode PMB179: What’s Your Favourite Number? 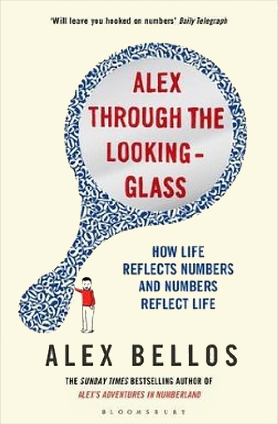 …Alex Bellos takes you on a journey of mathematical discovery with his signature wit, engaging stories and limitless enthusiasm. As he narrates a series of eye-opening encounters with lively personalities all over the world, Alex demonstrates how numbers have come to be our friends, are fascinating and extremely accessible, and how they have changed our world. Get your copy of Alex Through the Looking-Glass on amazon. This entry was posted in recommendations and tagged 44, Alex Bellos, book, favenumber, favorite number, math, Mathematics, maths, numbers. Bookmark the permalink.